“But I don’t want it,” they’d say. “What am I going to do with this thing? It’s not even close to my size or style.” they’d retort. We are witnessing a revitalized era where Benefits and SWAG are king, yet we fool ourselves if we subscribe to the OSFA mentality (One Size Fits All or One Style Fits All). Unwittingly, bosses create thousands of awkward situations because they misunderstand their people’s wants. 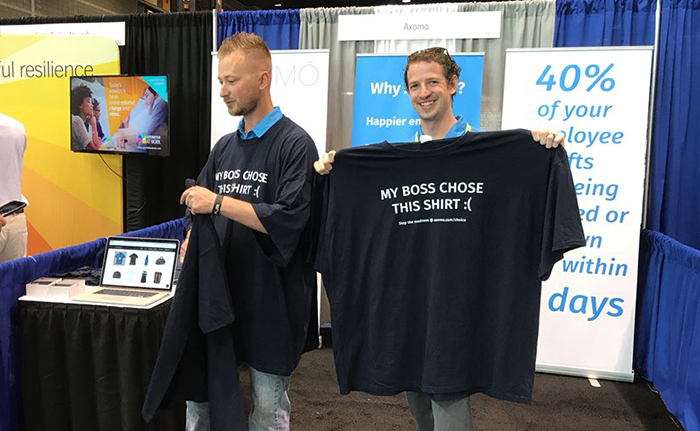 What these managers hope for when giving out company-branded gear is momentum (usually in the form of high morale that spills over into brand awareness), but too often the return they get for their investment is silent disappointment and a brand that’s underrepresented after-hours and on social media. In fact, a lot of the goods end up in the trash, re-gifted or donated, or simply kept out of a sense of obligation. 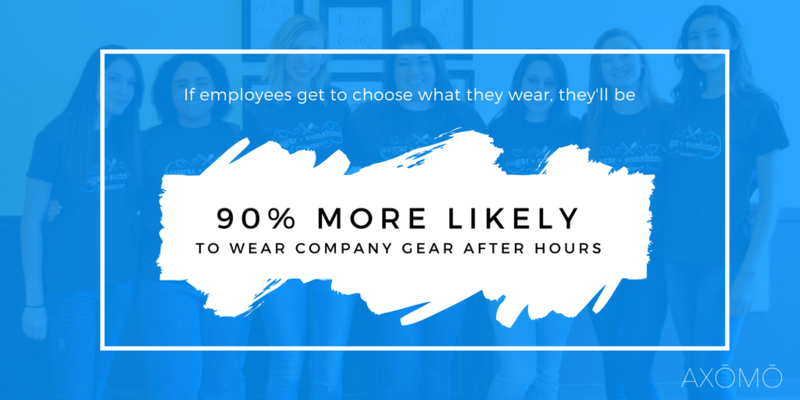 A Personal Shopping Experience – The ability to easily design, feature, and distribute a wide variety of custom gear that aligns with your brands and gives people choice. Expressing Gratitude with Store Credit – Reward your employees with credit and let them choose. Do it spontaneously or set it up as a scheduled perk (i.e. new hire bonuses, work anniversaries, birthday recognition, monthly bonuses, etc). A Crowd-Driven Merch Catalog -AXOMO’s product selection is perpetually based on user preference. If there is a particular brand or style someone is looking for that hasn’t been added to the catalog already, any AXOMO user worldwide can “Request A Product” and contribute to the overall experience. When employees fully engage with the brand, the resulting buzz pulsates throughout all forms of networking and can gradually cause entire communities to take notice. While legitimacy and cool factor are separate things, the line between them gets blurred in the public eye. In other words, it’s one thing to have a great business, and quite another to have momentum.